New Zealand’s top junior riders showed their class on day two of the BikeNZ Club Road National Championships today near Queenstown. 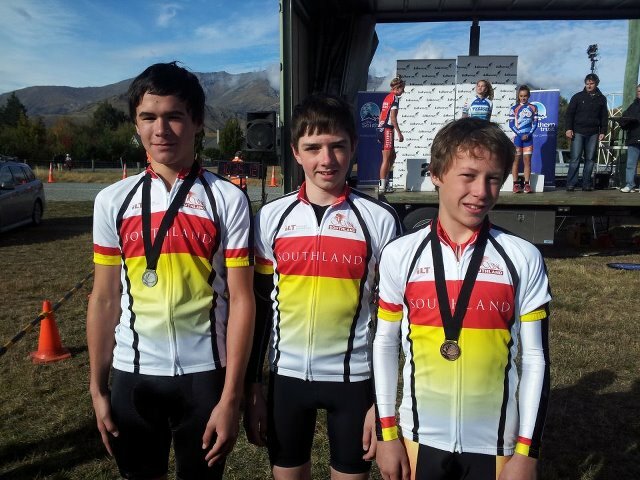 The under 19 men produced an action-packed race over a challenging course near Arrowtown, reaching speeds of over 60kph in the sprint finish. Southland’s Josh Haggerty had the legs to take the win ahead of Jordan Castle (Bike Manwatu) and Regan Gough (Cycling CHB). Haggerty said he felt confident throughout, with excellent knowledge of the demanding and hilly course. Haggerty is now looking forward to the UCI Juniors Track World Championships in Glasgow in August. Bike Manawatu had a successful day with a win in the under 17 boys race, as well as claiming five out the top six places, and a victory in the under 17 girls race. 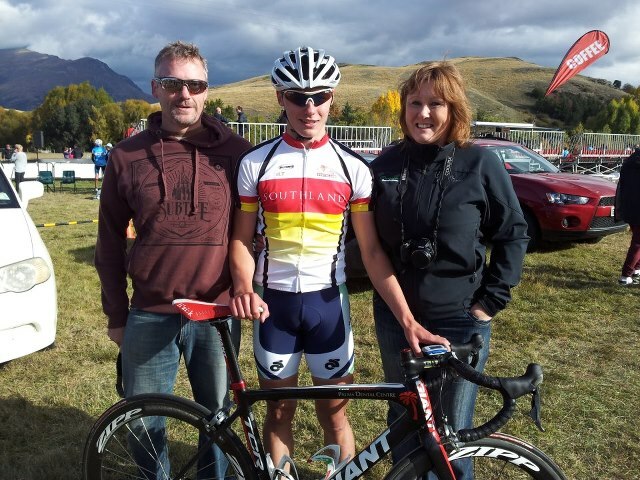 Alex Weston (Bike Manawatu) outsprinted team-mate Campbell Stewart and Cycling Southland’s Tom Sexton to claim the under 17 boys victory in a hotly-contested bunch sprint. Mikayla Drummond continued the Bike Manawatu dominance taking the under 17 girls victory ahead of Bryony Botha and Lydia Rippon, both of North Harbour Cycling Club. The trio put on an impressive sprint after being part of a small group of riders who broke off the front of the peloton during the second half of the race. Officials needed the photo finish to decide second and third places behind Papanui Cycling Club’s Josh Scott in the under 15 boys race. Cycling Southland’s Hamish Keast managed to claim second, with teammate Corbin Strong taking third, while Samuel Miller placed a close fourth. The under 15 girls race saw Christine Lambley from Pegasus (Chch) take the victory, ahead of Shaane Fulton from Tasman Wheelers, and Alicia Hoskin from Gisborne. Other results of the day included solo victories for the remarkable Gary Ulmer (Counties Manukau Cycling), father of Olympian and New Zealand cycling icon Sarah Ulmer in the men’s masters 8 road race, and Ron Pithie (Pegasus Cycling) in the men’s masters 5 road race. Ross Gamble (Cycling Otago) took an impressive victory in the men’s masters 7 race. Under 15 boys: Josh Scott (Papanui) 56:34.03, 1; Hamish Keast (Cycling Southland) 56:34.143, 2; Corbin Strong (Cycling Southland) 56:34.14, 3. Under 15 girls: Christine Lambley (Pegasus Cycling) 56:15.08, 1; Shaane Fulton (Tasman Wheelers) 56:15.364, 2; Alicia Hoskin (Gisborne) 56:17.03, 3. Under 17 boys: Alex West (Bike Manawatu) 1:55:38.16, 1; Campbell Stewart (Bike Manawatu) 1:55:38.18, 2; Tom Sexton (Cycling Southland) 1:55:38.26, 3. Under 17 girls: Michaela Drummond (Bike Manawatu) 1:40:03.37, 1; Bryony Botha (North Harbour) 1:40:03.43, 2; Lydia Rippon (North Harbour) 1:40:03:62, 3. Under 19 men: Joshua Haggerty (Cycling Southland) 2:41:53.85, 1; Jordan Castle (Bike Manawatu) 2:41:53.93, 2; Regan Gough (Cycling CHB) 2:41:54.04, 3. Master 5 men: Ron Pithie (Pegasus) 2:10:57.92, 1; Graeme Nuttridge (Pegasus) 2:14:22.61, 2; Garth Stewart (Wellington Masters) 32:14:22.88, 3. Masters 7 men: Ross Gamble (Cycling Otago) 1:36:48.90, 1; Dennis Murdoch (Hamilton City) 1:36:49.89, 2; Allan Luff (Wanganui) 1:36:50.08, 3. Masters 8 men: Gary Ulmer (Counties Manukau) 1:40:59.52, 1; Cyril Hibberd (Dynamo) 1:42:53.31, 2; David Wood (Pegasus) 1:43:55.76, 3.